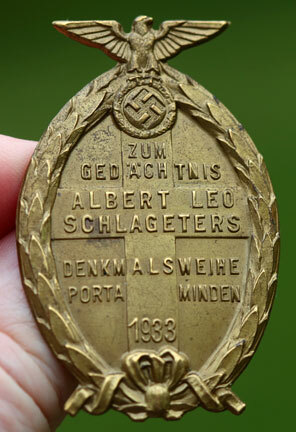 Albert Schlageters Denkmalsweihe 1933: Tombac, 53 x 34 mm, by Wachtler Lange Mittweide, scarce, light wear. 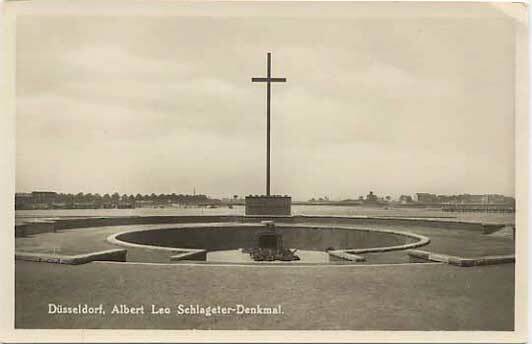 Albert Leo Schlageter memorial Postcard: The Christian cross was a prominent symbol on Schlageter memorabilia. Born in 1894 and raised a Catholic, he prepared to become a priest. 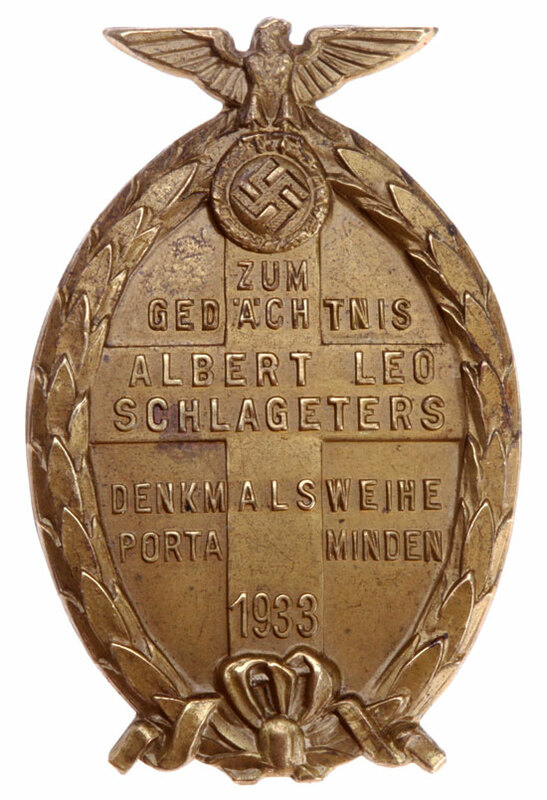 Schlageter fought in World War I and received the Iron Cross second and first class. 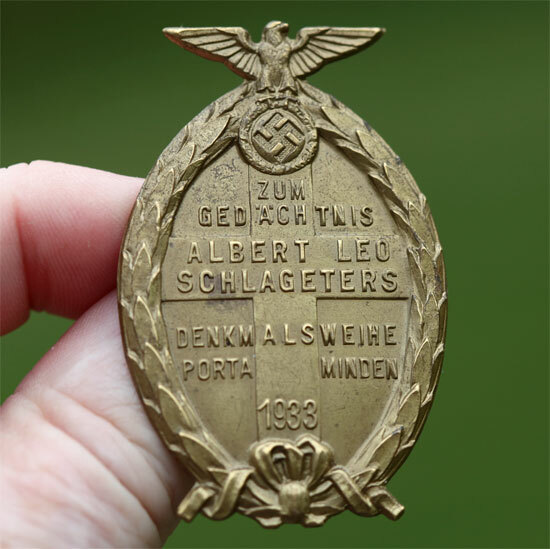 After the war he joined the free corps and became a member of the National Socialist German labour party (NSDAP) in 1922. During the French Ruhr occupation, Schlageter lead a combat patrol against the French. 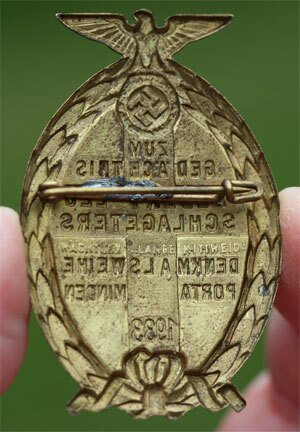 He got caught and they arrested and executed him in Duesseldorf on 25 May 1923.